It’s not too late to join this fun community event that raises money for Roosevelt! Register now; $15 for youths and $20 for adults (day of race, prices go up to $25 for youths and $30 for adults). Register now for the Fun Run – Sunday, October 29th at 8:00 am. Costumes encouraged! Prizes will be awarded to best costumes and race winners. 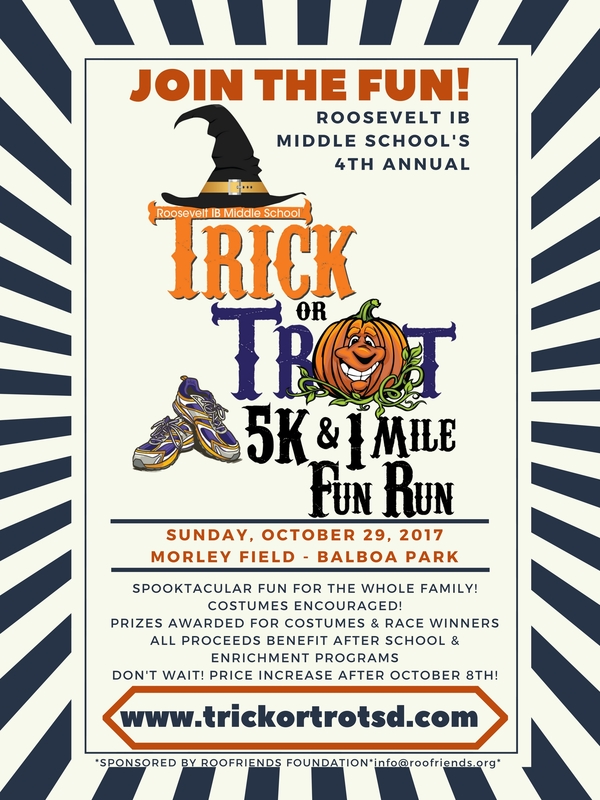 Funds raised from the event will enable the non-profit Friends of Roosevelt Foundation to continue and expand after school clubs and other enrichment programs at Roosevelt IB Middle School. Maybe running isn’t your thing, or maybe the date doesn’t work for you. No worries–you can still support Roosevelt!!! 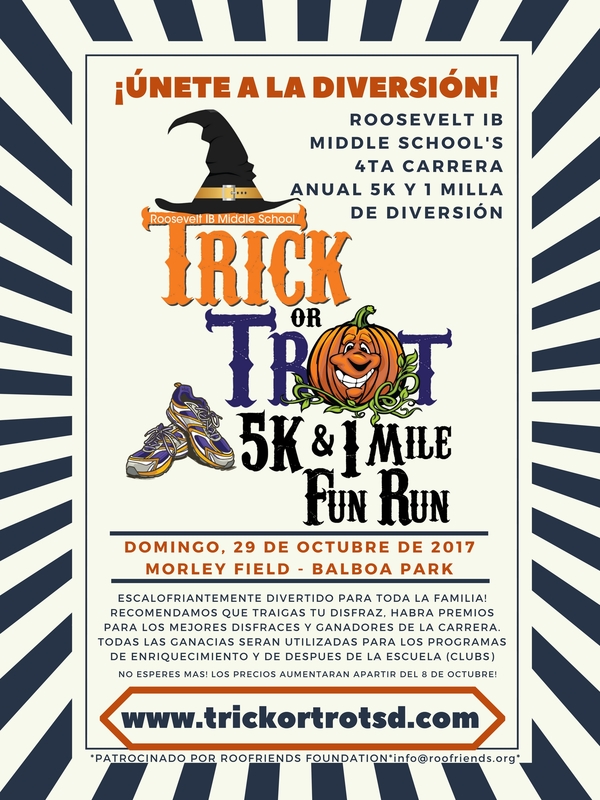 Donate to become a “virtual runner.” All proceeds will be used to either sponsor runners who are economically disadvantaged, or will go directly to support after school programs at Roosevelt. For more information, see website or flyer in English or Spanish.